What are the essential free games to grab for your new iPad Air? Apple will release a thinner, lighter, more powerful iPad this Friday named the iPad Air. If your wallet's feeling considerably lighter after your trip to the Apple Store, you'll no doubt be wanting some free games to keep you busy. With that in mind, we've picked out some of our favorite free titles from the last 12 months of tablet gaming. If we had to pick just one endless runner to justify the purchase of your iPad Air, we'd have to make it the magnificent Despicable Me: Minion Rush. It looks fantastic, it plays like a dream, and there's considerably more variety to be found in the level environments than in the average game of its type. A constant stream of updates has deservedly kept this game in the upper end of the App Store charts for months now. Deer Hunter won't be to every gamer's tastes, but if you have the patience to wait out the energy timers, you'll find this a strangely compelling game of cat-and-mouse (well, more cat if we're honest). Treat this as a dip-in, dip-out experience, and you'll find yourself enjoying a guilty pleasure like few others on the App Store. 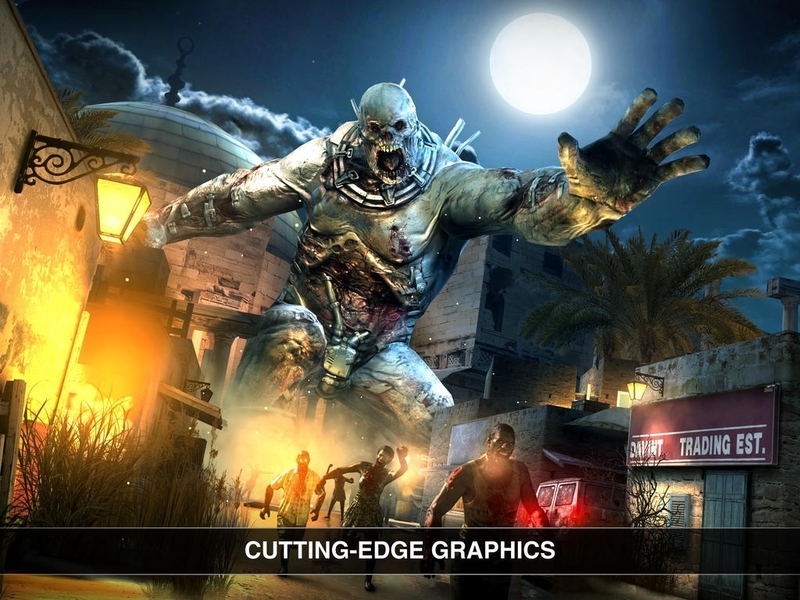 The recently released sequel to the chart-topping Dead Trigger hit the app stores last week, and impressed us enough to pick up a 4.5 out of 5 star score in our review. Fans of the original can look forward to more of the glorious same, while newcomers can be assured of one of the finest shooters available for touchscreens. Representing the defense genre with aplomb is PopCap's sequel to the chart-busting Plants Vs Zombies. This time around, the action's entirely free-to-play, and it's entirely possible to beat the whole game without spending a penny. Check out our comprehensive guide to ensure your wallet stays firmly in your pocket, while you concentrate on enjoying this superb game. It may not be the prettiest puzzler in town, but for pure puzzling enjoyment you can't go wrong with the outstanding Flow Free. You'll have to connect pairs of colored dots with colored lines, fill every square on the grid, and make sure no lines overlap in this evergreen mobile favorite. If it sounds simple, be warned - once you're playing on the larger grids, this game will give you a serious mental workout. Warning: The trailer below contains strong language. Telltale's excellent Walking Dead games deservedly picked up plenty of plaudits when the Games of 2012 awards were being handed out. These very clever episodic tales put player choice and narrative flair front and center - not only that, the first episode's free, so you have no excuse for not checking out this critically acclaimed series. How could we possible have a top ten list of games for the iPad Air without including Rovio's Angry Birds? There are all kinds of promotional offers that come and go for the series, but for a solid introduction you can't go wrong with this free taster edition. One of the App Store's best physics puzzlers, you can found out what all the fuss is about for free. If the thought of a free-to-play FIFA game has you concerned, brush them aside at once. A little bit of cash unlocks every feature you'd expect from the franchise, but the Ultimate Team mode is available to experiment with for absolutely nothing. We think the new touch control system adds an extra level of strategic depth to the game, while purists can always switch back to the earlier virtual joystick controls. For a little light relief, you really can't go wrong with Amateur Surgeon 3, one of our favorite Adult Swim games of the last 12 months. You'll have to use a variety of thoroughly unhygienic tools to save the lives of your unfortunate patients, and with the pressure of a ticking clock, you'll need nerves of steel to complete these gruesome operations. At first, you won't believe anyone could possibly put such a ridiculous game in a top ten list. Eventually - like everyone else - you'll be hammering the Next Wish button to take just one more psychedelic romp through Adult Swim's imagination. You'll probably want to spend a dollar unlocking the theme tune for Neverending Story, but after that you'll be playing the game for free, forever.